Family. For Wally Shelstad, creating a strong family bond has fueled his drive for excellence—at home, work, and at the Buffalo Gun Club— and is his secret to overwhelming success. Wally’s dad, also Walter, lived for hunting and fishing, and included his son as soon as he was old enough to be safe. They were hunting buddies until Walter passed in 1979. It wasn’t until Wally’s wife, Sheri, joined a trap team at her work that Wally became intrigued with the sport. “I had only shot trap once, for a groom’s event. Sheri told me I should check it out.” Wally joined a league in 1976, then a couples’ league later that fall and was hooked. In 1977 he volunteered to be BGC’s Secretary and has served as BGC’s President ever since 1978. Wally says being the first ATA Club of the Year (2007), ATA Volunteer of the Year (2009), being the 2009 Minnesota’s Doubles Champion with the lone 99x100 in the program and his 99.08 Singles average in 2004 are shooting highlights of his career. The biggest highlight of his life? The constant love and support of his wife Sheri in all his endeavors, and his entire family—Wally, Sheri, & son Kyle—shooting on the same line. 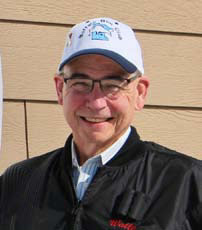 “I’m healthy now and looking forward to sharing this sport I love with my grandchildren!” Congratulations, Wally, and thank you for treating all who cross Buffalo Gun Club’s threshold as family.